A Goldman Sachs executive apparently dabbled in a bit of insider trading when he allegedly discussed non-public information about Apple Inc., to a prominent hedge fund manager during a federal wiretap investigation. David Loeb, who is head of Asia equity sales for Goldman Sachs Group Inc., in New York, was supposedly caught on a U.S. wiretap providing inside information on Apple Inc., Intel Corp., and Hewlett-Packard Co., to Raj Rajaratnam, the founder of Galleon Group, a New York-based hedge fund management firm. Rajaratnam is now serving an 11-year prison sentence for insider trading. Today’s wiretap tidbit emerged after Gary Naftalis, a lawyer for Rajat Kumar Gupta, told a judge about the tapes’ existence. Gupta is an ex-Goldman Sachs director arrested in late 2011 by the FBI on insider trading charges derived from the Raj Rajaratnam Galleon Group case, and he is currently embroiled in an ongoing criminal trial. Gupta adamantly denies any misconduct. ‘He’s on a tape giving out information’ about those companies, Mr. Naftalis told U.S. District Judge Jed Rakoff outside the presence of the jury. Mr. Naftalis told the judge that prosecutors were withholding exculpatory evidence he said could help his client. […] Assistant U.S. Attorney Reed Brodsky told Judge Rakoff that Mr. Loeb “provided Intel, Apple and Hewlett Packard information to Mr. Rajaratnam.” It’s the first time the government has publicly named Mr. Loeb and confirmed that the U.S. has evidence that he gave information about Apple, Intel and Hewlett-Packard to Mr. Rajaratnam. 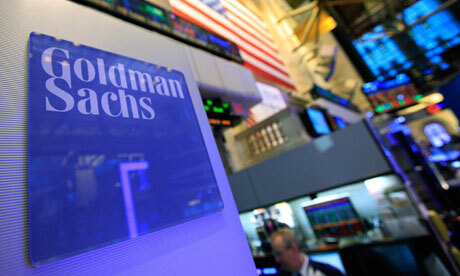 “There’s none that Mr. Loeb had access to material, nonpublic information about Goldman’s earnings,” Mr. Brodsky said. Loeb has not been formally accused of any crime.